Gorgeous 2 bedroom 2 bath condo, overlooking the intracoastal! Totally renovated, you can move right in to this condo, and the furniture is included too! Unit is a spacious 1400 sq ft with a split bedroom plan, and has impact glass and doors. Master bedroom has a walk in closet and a captivating view of the water. 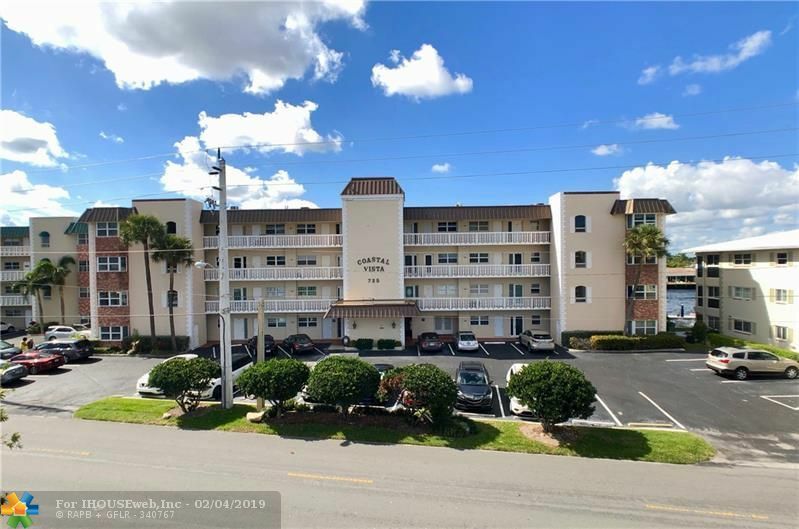 The large, enclosed balcony is an extra treat, where you can enjoy a wide view of the pool, the intracoastal, watch the boats go by, or enjoy a beautiful sunset. Coastal Vista is on the intracoastal, and the building is just one block to the Beach.